Background :- you must wondering why i am writing this but believe me when you have only windows environment without internet access its hell lot of difficult to find the difference. 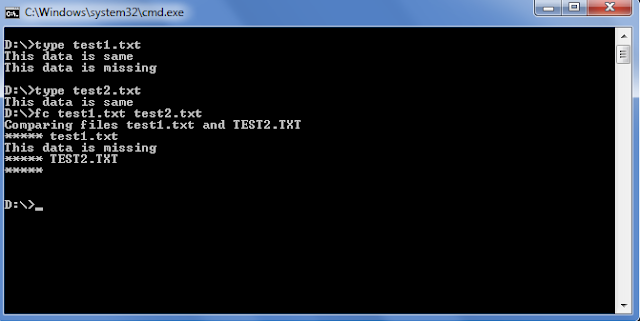 Scenario :- you have two csv/text/xls that having more than 10k Lines and you need to find out the difference in between. condition is that you have only windows machine that too without internet access. ...So after googling on my cellphone i come up with command call fc which save my life ;) from performing too many manual check to automating whole task. Note :- White space make's hell lot of difference in result.